Domino investigates the ritual execution of a mob associate, a graffiti magician named Jamal. The kid isn’t just dead, he’s been squeezed — the killer stole his magical power or “juice.” Domino summons Jamal’s shade, and the ghost points to Adan Rashan as his killer. This is tricky, because Adan is the favored son of Domino’s boss, Shanar Rashan, a six-thousand-year-old Sumerian wizard. It’s even trickier because only a mobbed-up sorcerer could have squeezed Jamal and Adan isn’t a sorcerer. As the corpses pile up, Domino must confront the killer and unmask an otherworldly kingpin with designs on her gang’s magic-rich turf. 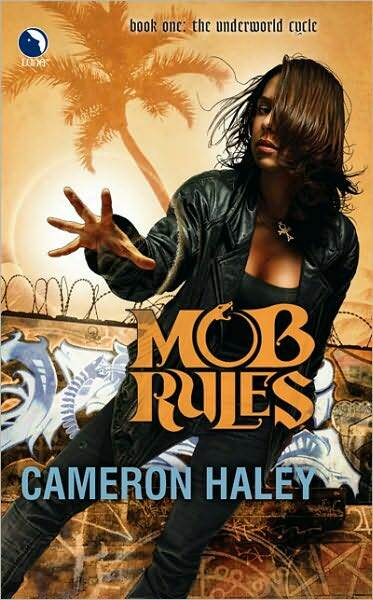 MOB RULES is an urban fantasy novel of murder and magic, betrayal and redemption set in the supernatural underworld of Los Angeles. Cameron Haley is the pseudonym for Greg Benage, an aspiring writer who lives with his wife, Maria, in Minneapolis. When he’s not creating stories, Greg creates spreadsheets and PowerPoint presentations as a senior product manager for one of the largest commercial banks in the U.S. MOB RULES will be his first published novel. Thanks for the promo. This is another one I hadn't seen anything about.